Knowledge is Power - Share! If you are reading this, you’re most likely familiar with email marketing and you understand that, like everything in this world, it is changing too (let’s not talk about GDPR this time). Naturally, all these changes have an impact on marketers and marketing itself. For example, email marketers are becoming increasingly aware of the complexities of good deliverability. In other words, not being flagged as junk mail and sent to the spam folder. Spam filters are evolving too: many factors can get your emails marked as spam. For example, many of us are aware that using spam words might boost the spam score. Despite the fact that the potential influence of spam words is debatable in the whole deliverability spectrum, I am quite a traditionalist and believe that it’s best to stay safe than sorry. Many aspects can affect your deliverability – and yes, the truth is, that spam words make up just a small part of that complex filtering. 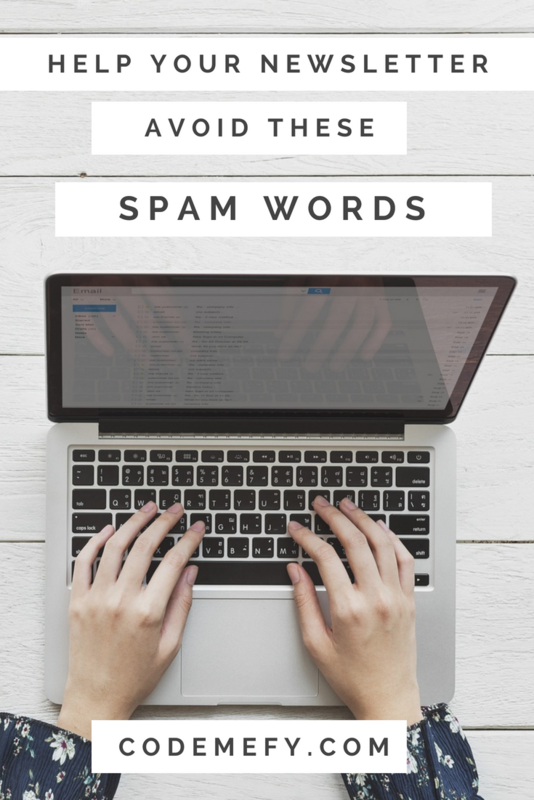 Thus, using a word or a phrase traditionally considered as spam, might not straight away direct your emails to junk: if your content is good, your mailing lists are well maintained, your HTML is clean, you probably have nothing to worry about. However, if you want to be cautious, this is the spam words list that I refer to when I’m drafting emails. Some of you might not know how content can affect your deliverability. The length, the structure and, of course, the words themselves. Unfortunately, there is no one single magical list of spam triggers – there are different spam filters and they are updated all the time. All that is, of course, necessary to fight actual spammers and scammers. I reviewed test logs from Spam Assassin (open source spam filter), checked IBM knowledge centre, read many other articles about spam words, analysed my own junk mail to categorise some of these spam trigger words available to find. Spam Assasin has loads of criteria when testing if a message is spam – and it’s really worth having a look at them all (font sizes, colours, HTML, etc.). But, as we’re analysing words, I’ll highlight a few with their (local) points. For example, this innocent word “dear” is used so often in salutations: Dear Firstname, Dear friend, Dear client… According to Spam Assassin, having Dear in the body copy will give you 1.605 points. Also, if your subject line starts with hello, you will get 1.84 points. There are other factors that will increase your spam score – leaving the “from name” empty, not having a reply-to address, and even having many extra spaces in your subject line. Here’s a link to their logs – really interesting stuff! Ah yes. If you have ever worked with me, you’d know that one of the most often highlighted spam phrases (by me) is actually a call-to-action. I always say – don’t use “click here”. Click is not a right word for emails. However, there are quite a few other words you should be aware of, so please have a look. Many entrepreneurs and bloggers write about working remotely, setting up an online business, and working from home. Shame that many spammers are using similar topics to scam people, thus, watch out for these words that could trigger spam filters. There are businesses and writers out there that are writing content for the adult audience. Admittedly, it is difficult for those genuine marketers to get through to their subscribers’ inboxes as so much spam is associated with this niche. IBM knowledge centre suggests avoiding these trigger words. Remember that having one of these words in an email doesn’t mean that your newsletter will land in the junk mail. Of course, no guarantees that it won’t, but use your common sense, and try to limit potential triggers. Moreover, words and content, the cleanliness of HTML, the weight of the email – all that matters too. Good luck and don’t forget to subscribe to my emails! Can you back this up with data? This seems like very old, hearsay advice that we’re increasingly finding out-of-date. Hi Charles, thanks for taking a look at the article. I agree that spam words and their influence is quite debatable in the deliverability scale – and ever so in these recent years. However, I still believe that they do make an impact – especially if, for example, your image to text ratio is off, or you have any other risky elements in your email. Even small thing can tip over the scales. I reviewed spam assassin test logs, and many words are clearly stated as their test functions – have look! http://spamassassin.apache.org/old/tests_3_1_x.html I know, this log may not be the newest thing too, but it’s open source and I think it’s quite a reliable indicator of the existence of such thing as a spam word. And thanks for leaving a comment! 2018 © www.codemefy.com All rights reserved.